NEW YORK STATE (May 5, 2014) – Governor Andrew M. Cuomo recently announced more than $794 million in child care subsidy funding, an increase of $55 million over last fiscal year, to address the widespread need among low-income working families for affordable child care. Prior to this year’s 7.45 percent increase, allocations for the New York State Child Care Block Grant (CCBG) have remained stable for the past five years, ranging from $736 million to $739 million from 2009 to 2013. The CCBG is administered by the New York State Office of Children and Family Services (OCFS). In Federal Fiscal Year 2013, approximately 223,000 children in New York State received child care subsidies. Low-income child care assistance is based on family size, the family’s gross annual income, and the reason for care. 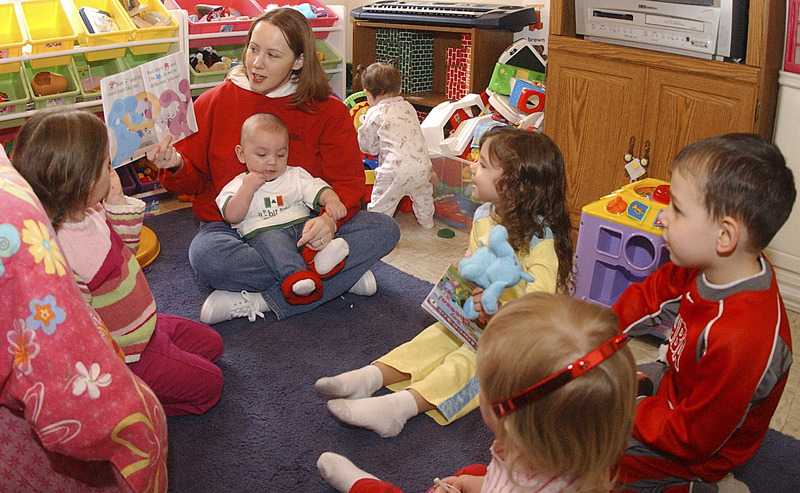 The CCBG is the primary funding source used to pay for child care subsidies. Each year, local social services districts are advised of their allocation after passage of the state budget. The allocation primarily reflects proportionate shares of the block grant funds based on the average level of child care claims for Federal Fiscal Years 2009 through 2013. To determine allocations, OCFS used a prorated average based on five years of claims, which minimized the impact of funding shifts on counties and provided consistency and stability of allocations. ‪Senate Majority Coalition Co-Leader Dean Skelos said, "This increase in child care funding will give even more hardworking New York families the opportunity to access affordable, high-quality and safe child care for their kids. By working with the Governor and our colleagues in the Assembly to secure this important increase, we are making a positive difference in the lives of working families and the children who mean the world to them." Senate Majority Coalition Co-Leader Jeff Klein said, "As part of our Affordable New York agenda, the Independent Democratic Conference laid out the necessity to pass a budget that included record investments in child care subsidies. As a result of our hard-fought efforts, this budget not only includes $55 million in additional child care funding, but we’ve also increased the number of slots that will enable even more working class New Yorkers take advantage of this critical program. Making child care more affordable will ensure that no parent has to choose between pursuing a career opportunity or staying at home to care for a loved-one. But more importantly, we have finally begun to put an end to these runaway costs once and for all." Assemblywoman Donna Lupardo, chair of the Children and Families Committee, said, "In order to truly help middle class families thrive we must invest in high-quality, affordable child care that working parents can rely on. I am proud to have worked with Governor Cuomo and my colleagues in the Legislature to provide increased access to affordable child care for families across New York." The vast majority of New York State’s counties will receive more funding to support child care subsidies than they had in the prior year. Moreover, other counties will see an increase in child care subsidy funds due to a combination of the allocation plus a rollover from the previous year. · Request a child care certificate, which enables the parents or caretakers to select from a full range of child care arrangements, including care by regulated child care providers and providers or legally exempt child care. · Families who are eligible if funds are available and if the local district includes them as eligible families in its Child and Family Services Plan. OCFS serves New York by promoting the safety, permanency, and well-being of children, families, and communities, and regulates more than 21,000 child care providers with a capacity for more than 708,000 children. For more information, visit ocfs.ny.gov, “like” the New York State Office of Children and Family Services Facebook page, or follow @NYSOCFS on Twitter. OCFS also maintains a Spanish-language Twitter account, @NYSOCFS_espanol.